Black Friday has officially begun now that everyone’s favorite smart home company is getting in on the action. 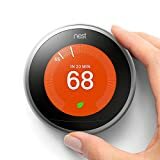 That’s right, all of Nest’s most popular products have just been discounted on Amazon. You’ll find prices that match all-time lows on the 3rd-Gen Nest Learning Thermostat ($50 off! 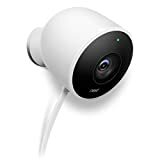 ), Nest Cam Indoor Security Camera ($60 off! 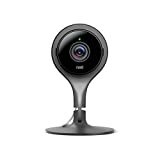 ), Nest Cam Outdoor Security Camera ($50 off! 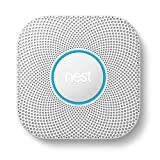 ), and Nest Protect Smoke & Carbon Monoxide Alarm ($20 off!). Check out all the deals below. 24/7 live video: 130° wide-angle view and all-glass lens let you look after home in 1080p HD, day and night. Alerts and snapshots: When Nest Cam detects activity, it can send a phone alert or email with a photo of the event. Quick, easy setup: Plug in Nest Cam and download the Nest app to get started. No hub needed. Talk & Listen: Nest Cam has a built-in speaker and microphone, and lets you talk and listen through the app. Speak up to get someone’s attention, or tell the dog to get off the couch. Night vision done right: See the whole room at night — not just a limited spotlight view. 24/7 live video: 130° wide-angle view and all-glass lens let you look after home in crisp 1080p HD, day and night. Alerts and snapshots: When Nest Cam Outdoor detects activity, it can send a phone alert or email with a photo of the event. Talk & Listen: Nest Cam has a built-in speaker and microphone, and lets you talk and listen through the app. So you can tell someone you’re paying attention or ask the mailman to leave the package at the door. Simple DIY installation: Just plug it into an outdoor outlet, mount the camera and go. You can even stick it to a magnetic surface — no drilling necessary. 10-year carbon monoxide sensor. Carbon monoxide is odorless, invisible and deadly. When there’s CO, Nest Protect tells you where it’s hiding.